If governments and police won’t use precise language, we will. This year, according to the prime minister, some European leaders think that the problem doesn’t exist, some think it’s progress, some are giving themselves up and some are waiting for others to solve the problem. But Hungary is different, he wrote. “Our starting point has always been that we have the right to our own life and when we had the power for that, we protected it”, the prime minister stressed and promised that his government will do everything to keep Europe European. So an Afghan refugee tells police his alleged attack on Melbourne pedestrians was something to do with the treatment of Muslims. The official response: Nothing to see here, people. Move along. Victoria Police waited five hours before sharing any of the ­detailed information and even then denied any link to terrorism. This denial is so worrying so ­ignorant and so dangerous, yet even the Prime Minister adopted this same ridiculous line. They tell us a Muslim migrant from Afghanistan has mown down people and raved about the treatment of Muslims yet they say there is no link to terrorism. How can the public feel safe if the authorities and politicians won’t even confront the very real enemy of Islamist extremism terrorism. This is the evil whose name they dare not speak — they are in jihad denialism. One of the problems with bollarding off pedestrians behind a wall of Diversity Bollards is that they still occasionally have to emerge from behind the bollards to cross the street, and it’s hard to bollard off a pedestrian crossing. In this case, the non-terror-related Australian citizen simply waited until the little green sign indicated it was safe for pedestrians to cross the street and then floored it. As the above image shows, people are embracing this accurate and amusing title. If governments and police won’t use precise language, we will. I hope Orban can make a visit to the White House early in 2018 and have a long talk with President Trump about what is happening in Europe. Nothing like a first hand person’s account to really spill the beans about what the EU elites are doing to Europe. 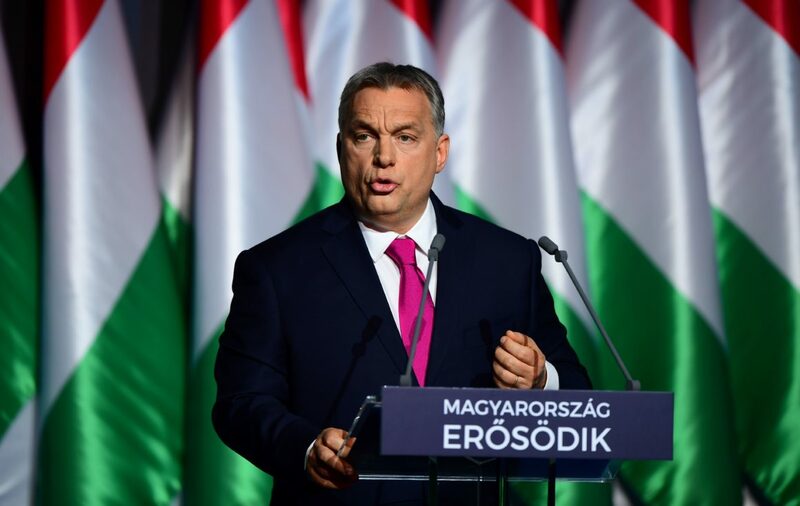 Orban is right and Europe would be far wiser to listen to him! I think a long talk with President Trump would be a very good thing indeed.